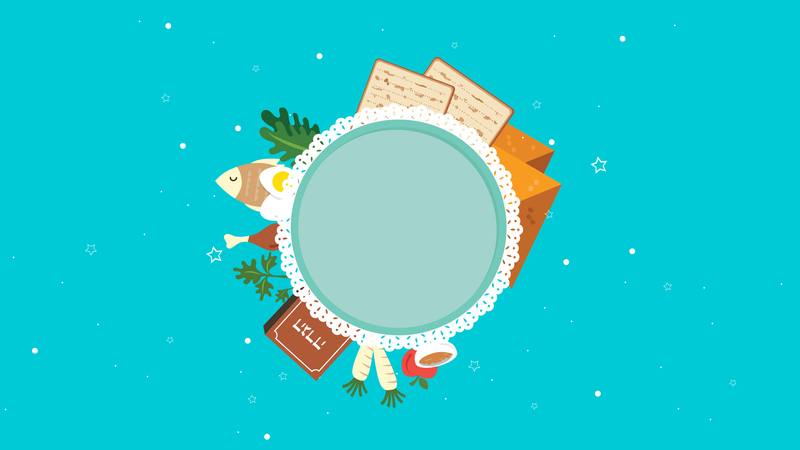 As far as holidays go, Passover doesn’t really have a lot going for it to gets kids excited. They don’t get the day off school (unless they go to Jewish day school), they don’t get any presents or candy, they don’t dress up, and they can’t even eat most of their kid-favorite foods for an entire week. So yeah, if you want your kids to think Passover is fun, you gotta make it fun yourself. Fortunately, that isn’t terribly hard to do if you get a little creative about it. Whether your kids are little or big, there are lots of easy, low-cost ways to make your kid-friendly Passover more exciting for the little ones. The holiday will fly by before they even notice that they haven’t had their morning toast in a week. Try this: take paper plates and popsicle sticks and have your kids draw pictures to represent each of the ten plagues: frogs, lice, flies, death of livestock (draw some cows for this one), boils, hail, locusts and darkness are all pretty easy to color. While “blood” and “death of the firstborn” are a little harder to explain to a kid, let alone draw, try having them color a river (for “blood”) and the archway of an Israelite home with an X over it for the final plague. 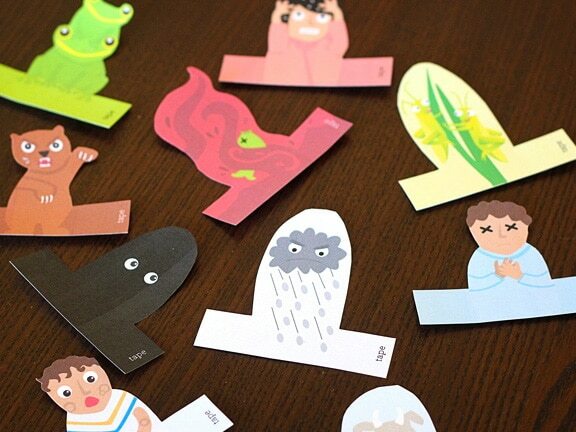 If they’re smaller, you can draw the outlines of each plague and just let them color (or scribble) on the pictures. When their creations are finished, they can hold each paper plate up during the Seders as the plagues are listed out. Blogger Tori Avey has some great inspiration. Image: Courtesy of Tori Avey. Middle schoolers can come ready to sit at the Adults Table once they brush up on the theoretical scientific explanations for each plague, in their specific order. (Scientists have actually posited what might have been happening to explain the plagues in a way other than “God did it.”) There are a few good resources on this topic, but this one from Live Science is a good place to start. It’s practically a guarantee: If a child is old enough to actually read/recite the Four Questions, but still the youngest person at the Seder, they will be too mortified to sing them on their own. So have them buddy up with the eldest person at the Seder. They can do the questions together, or work out a call-and-response act where they both ask the questions. Either way, if the youngest doesn’t feel alone, they’re way more likely to nail their song. 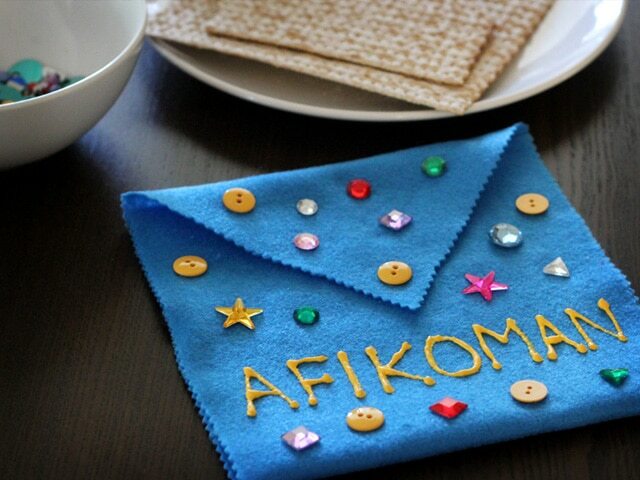 This was one of my favorite traditions growing up: One of my uncles would “tier” the pieces of the Afikomen he hid. Some were easy, for the younger kids, but one was always the “super hard” one and could take hours to find. He gave out prizes that were commensurate with how difficult the piece was to locate, so while everyone came away with something, the person who found the super-hard one was a super-big winner. Involving younger kids in creating an Afikomen bag for the end of the hunt is a great idea too; we love this Afikomen bag craft from Brenda Ponnay. Image: Courtesy of Brenda Ponnay. Another tradition that kids loved in my family was getting rare currency (like a Susan B. Anthony silver dollar or a $2 bill) as a prize for finding the Afikomen. If you’re hosting the Seder, kids love being in on this special treat, so let them tag along to exchange the money and watch it counted out. Once you’re home, let them color and label envelopes for each kid that will be receiving the prize as part of the Afikomen hunt. Get kids more excited about the sometimes-not-so-exciting Passover food by having them write up menus for each person coming to the Seder and decorating them. If you’ve got any fun office tools — like a label-maker, hole-punch or a laminator — that they can use to make the menus more “official” looking, they’ll love it. Plus, this is a great way to get kids involved in the kitchen if they’re too young to cook or just aren’t interested in it. 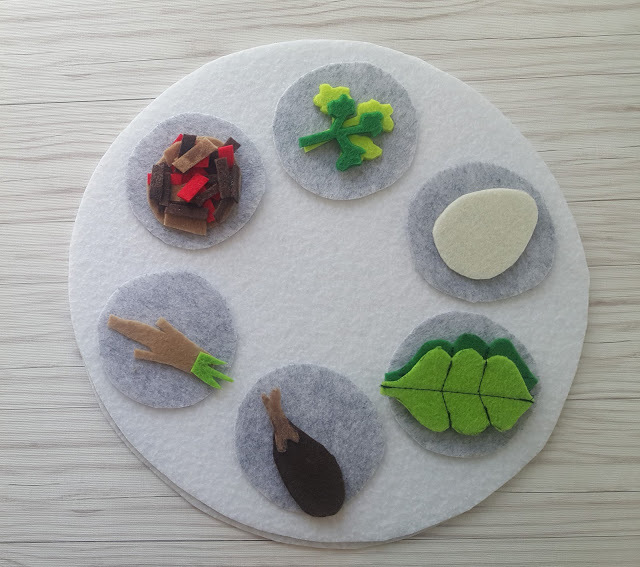 And if you want to go all-out in the meal planning and decor, there are some adorable kid DIYs for felt seder plates — like this one from ReloMom. Another fun Passover memory of mine is assigning each of my cousins an animal for “Chad Gad Ya” (aka “The Goat Song”, or the Jewish version of “There Was an Old Lady Who Swallowed a Fly”). We all made up hand motions or sounds that went with our animal, and couldn’t wait to perform them at the end of the meal. The beauty of this one is it works with a huge range of ages (the oldest and youngest of my group are 16 years apart). On day three or four of Passover, when everyone is getting very sick of matzah, get kids involved in a sandwich-making contest to see who can make the most flavorful creation. Everyone’s a winner! Got a picky eater who’s not into the Passover seder plate and won’t do well being separated from their beloved carbs for a week? I love the idea of repurposing this trick from mom-blogger Veggies and Virtue for the week of Passover: Have kids draw, paint or color a rainbow on a big sheet of paper. Grab some colored dot stickers, and for every food they eat that’s one of those colors, they can add a corresponding sticker to their rainbow.